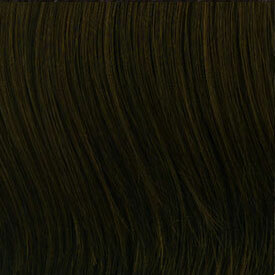 CUTICLE REMY is the new class of remy hair that delivers excellence in all aspects. With unparalleled strength, longevity, health, and vibrancy in color, the CUTICLE REMY truly delivers the highest return of quality and value. So what makes CUTICLE REMY so outstanding? The #1 difference is XQ's healthy energetic cuticles. CUTICLE REMY XQ is developed with advanced techniques and technologies that specifically focus to preserve and fortify the cuticles at its healthiest and most vibrant form. Magnificent beauty is always realized first from within. The advanced fortified cuticles of CUTICLE REMY XQ has the highest resiliency against harmful damage factors such as UV rays, air pollution, hot irons, styling products like extreme hold hairsprays and coloring chemicals making XQ the longest lasting hair that may be reused many times wash after wash. The fuel of motivation and dedication to bring our consumers and stylists the best of the best remy was SHAKE-N-GO's inspiration to combine over 20 years of the science, experience, and research. We introduce to you the new CUTICLE REMY XQ. 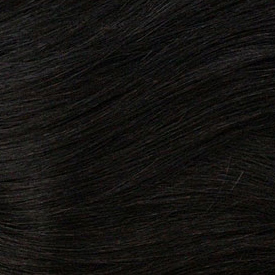 Carefully hand selected, flawless 100% Remy hair is enhanced with an exclusive Advanced Cuticle Reinforcing technology that fortify the resiliency, elasticity, and vibrancy of its natural cuticles. This scientific procedure aids the natural cuticles to gain strength over harmful environmental factors that damage healthy hair. 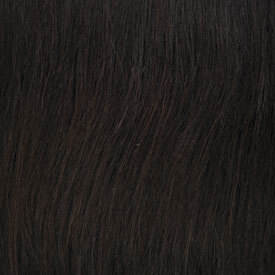 XQ's exclusive Advanced Remy Enrichment technique conditions and energizes the natural structure of exquisite Remy hair. Cuticle Remy XQ's powerful combination of sealed in moisture, radience, and healthiness keeps the Remy hair looking ageless. The cutting-edge development of Unidirectional "Live"Cuticles (ULC) features a superb tangle-free wear while its incomparable youthful, luxurious texture is accentuated. The timeless radiance of XQ's "laid-flat" cuticles delivers intensified levels of light reflecting shine and vibrant color. Cuticle RemyXQ features the new Advanced Precise Weft, specifically designed to create a flexible weft for easy sewing and secure weft for shed-free wear. The distinct design makes Cuticle Remy XQ the most hassle-free modern Remy hair in the hair industry. Cuticle Remy XQ allows you to experience the true benefits of healthy hair with simple hair care maintenance and extended longevity. With proper care, the Cuticle Remy XQ proves its "perpetual uniqueness" with remarkable re-usability wash after wash maintaining same high XQ standards.